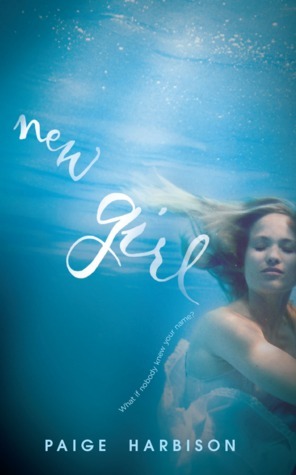 New Girl by Paige Harbison really surprised me. I wasn't quite sure I was going to like it, not usually being a huge fan of stories involving mean girls as well as not quite getting along with Paige Harbison's previous book. What really captured my attention about New Girl and what made me curious to read it, is that it is a contemporary retelling of Rebecca by Daphne duMaurier, which I really enjoyed. I was definitely intrigued to see how that would be pulled off and despite some minor issues, I thought it was handled really well. Our main character (unnamed until the very end! ), has been accepted into Manderley Academy for her senior year. Despite really wanting to attend when she was younger, now she has misgivings about leaving her home and her friends and family. She isn't keen on the thought of being a new girl so late in her high school life. Still, off she goes. What she doesn't know until she arrives is that her spot in the Academy only opened up because of the disappearance of another girl, Becca Normandy. Becca Normandy seems to be loved by everybody, a really popular girl who was at the center of everything at Manderly for so long. Together with our main character's view on things at Manderly, the narrative is also broken up by flashbacks of Becca's life a year before when Becca was the 'new girl'. We can see just how Becca began to change things up, how she was able to organise parties and the way in which people responded to her. Becca was able to manipulate situations and the people around her to get the things she wanted, but you can also see from these flashbacks how insecure she is as a person. It's these flashbacks of Becca's that have me a bit conflicted about New Girl. I like the depth that they give to the story and how much they round Becca out as a character, but sometimes I also feel that they give away too much and that more could have been left unsaid in order for the reader to come to his or her own conclusions. Back in the present day, our new girl, is suffering in the shadow of Becca Normandy. She's living in Becca's old dorm room, surrounded by Becca's things. Her roommate resents that someone else has come along to replace Becca, who was very loved and sets up our main character to fall into some awkward situations. And then there's Max Holloway, Becca's former boyfriend, who is of course, completely off-limits, but our main character can't help but be attracted to him anyway. And she laments the fact that Becca's life was so perfect and that she'll never compare or come close to filling the whole left by Becca. Again, I'm really quite surprised by how much I enjoyed this book. It was an interesting exploration into a psychological story with a more contemporary feel. I'd very much like to hear that this book would inspire teenagers and other people to pick up the original Rebecca to compare. It's really quite interesting, this book! I really enjoyed Here Lies Bridget so I'm definitely intrigued by this one. I liked it! Rebecca isn't the sort of story I'd have thought would work well as a modern retelling, but I thought it was really well done.